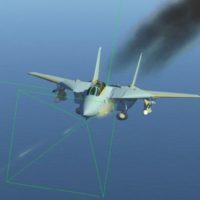 Guest contributors @Near_Blind and @Fridge provide a Mudspike introduction to upcoming DCS: F-14 Tomcat module from Heatblur Simulations. Winter is coming. Yes. Yes! I mean summer and fall are a time to be outdoors doing things, you know. The weather is generally good and there is nature to explore, trails to trek through, hills to climb and rivers that need a good boating before the weather turns to ice and snow and cold and wet. At least in the North, winter is a time to mostly stay indoors, warm and snug with coffee/tea/hot-chocolate on your desk and your flight stick and throttle firmly gripped in hand. Let the guilt of staying indoors be smothered in cold weather, I say! And that is a good thing, for the closing months of 2017* for DCS virtual pilots may experience a surge in new virtual air-frames for us to jaunt around the sky in. I am looking forward to the Harrier, Hornet and, yes, the venerable Tomcat (* release schedule is subject to change without any notice to the tears that we could potentially shed, so be patient). 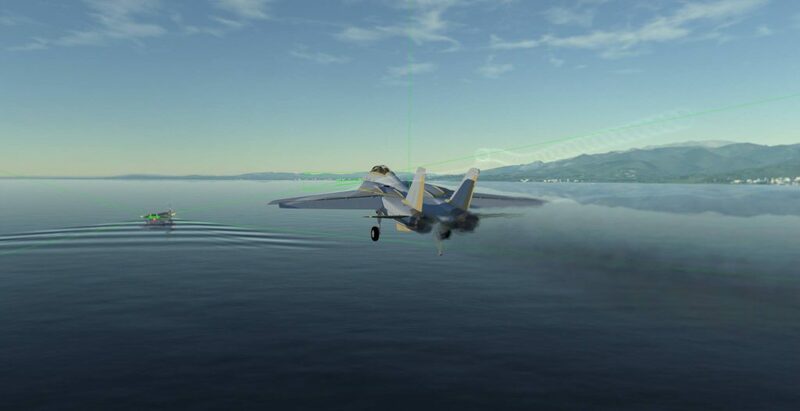 Please note that all images of the F-14 Tomcat in DCS come from either Heatblurs Facebook page or other media released from Heatblur Simulations to a public source. 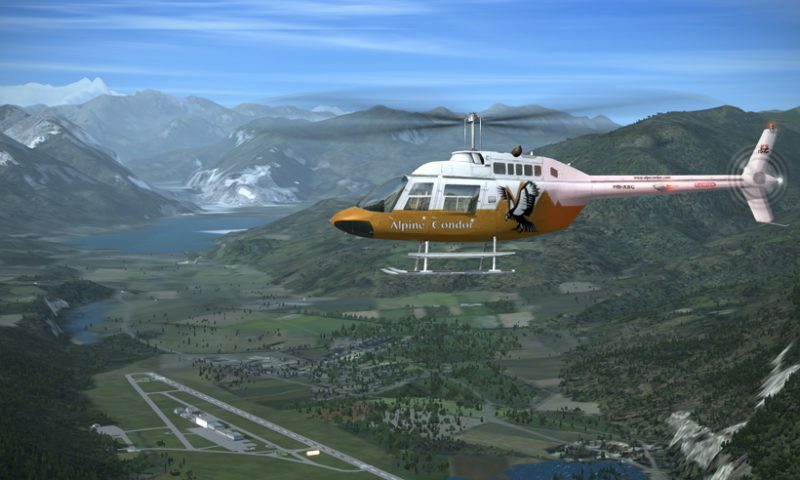 Any high detail renderings of 3D models likely occur outside the DCS game engine and do not represent the final product as it will be rendered in-game. All screenshots are of a ‘work in progress‘ and also do not represent the final product. Everything is subject to change, without notice. No developers, testers or artists were harmed in the writing of this article. The F-14 Tomcat is, arguably, one of the most iconic jet fighters from the 70s and 80s. In the 1950s the Navy saw a need to defend a carrier battle group from long-range, air launched missile attack. Each fighter aircraft sought by the Navy since then has attempted to fulfill that defensive requirement: through supersonic flight, long loiter times, advanced radar systems and early detection, to push the defensive bubble around the carrier battle group out as far as possible and thereby increase or guarantee it’s survival. Birthed as a repudiation of the troubled TFX/F-111B program, the VFX/F-14 Tomcat program, one of the first 4th Gen fighters combining the roles of air superiority fighter and interceptor, was designed not only to survive this environment but to dominate it. As a child of two eras the aircraft combined the most powerful radar placed in a fighter, extreme long-range weapons, and maneuverability in excess of any previous generation of aircraft while being hampered for years by inadequate engines and increasingly obsolescent electronics. During its lifetime the Tomcat would face off against threats that can be broadly segregated into two categories: 1) Gen Two and Three, and 2) Gen Four. (See [Jet Fighter Generations). Deployed in 1974 the F-14 would spend the initial 17 years of its career acting as the Navy’s premier fighter, incorporating an additional reconnaissance role after the retirement of the RF-8. With the collapse of the Soviet Union and any credible air threat, the Tomcat would spend its last 15 years of service picking up slack for the retired A-6 Intruder and becoming a potent long-range striker. Ultimately the Tomcat was replaced by the F/A-18E/F Super Hornet beginning in the early 2000’s, culminating with final retirement from the U.S. Navy in 2006. 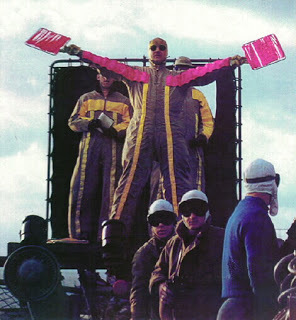 Designed as a response to the experience of the F-4 Phantom II in Vietnam, Navy pilots and RIOs that had spent years training to intercept high altitude bombers at supersonic speeds using massed volleys of radar guided missiles found themselves thrust into low altitude strikes over the coastal plain of North Vietnam. Rules of Engagement and terrain as much as reliability issues would deprive them of their “long legged” Sparrows, and their opponents were not lumbering Badgers and Bears. 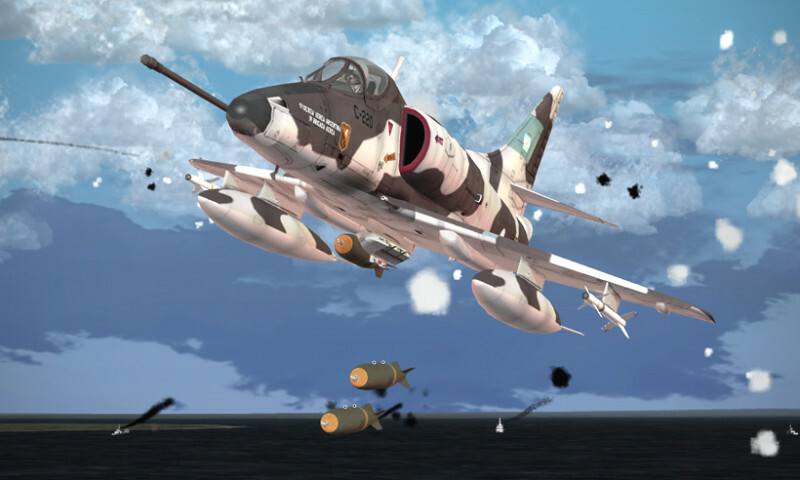 Instead combat would be knife fights using the AIM-9 Sidewinder against agile, tight turning MiG-17s and nimble MiG-21s. The F-4 initially struggled in this environment. Tactics would eventually return the edge to the Naval Aviators but the F-4 would never be a turn fighter. The F-14 could not outright turn better than the MiG-17 but it could hang with it much better than the F-4, while able to exploit the vertical just as well as its predecessor. Against the MiG-21 it had the advantage of both turn circle and vertical maneuvering, inferior only in roll rate. By the time the F-14 had actually been deployed a new opponent had matured to meet it: The MiG-23 Flogger. Like the Phantom, the Flogger was designed to bring BVR capability while also replacing the aging MiG-21. Like the Phantom, the MiG-23 would be a design that placed thrust above all other characteristics to the detriment of maneuverability. To western observers, to put it bluntly, MiG-23 was unimpressive in every regard except speed and acceleration. In a turn fight the F-14 had superior turning ability with a similar Thrust to Weight Ratio (TWR). The High Lark radar and AA-7 “Apex” combo represented an evolutionary leap in capability, but the radar was still inferior to the AWG-9 in range and tracking. 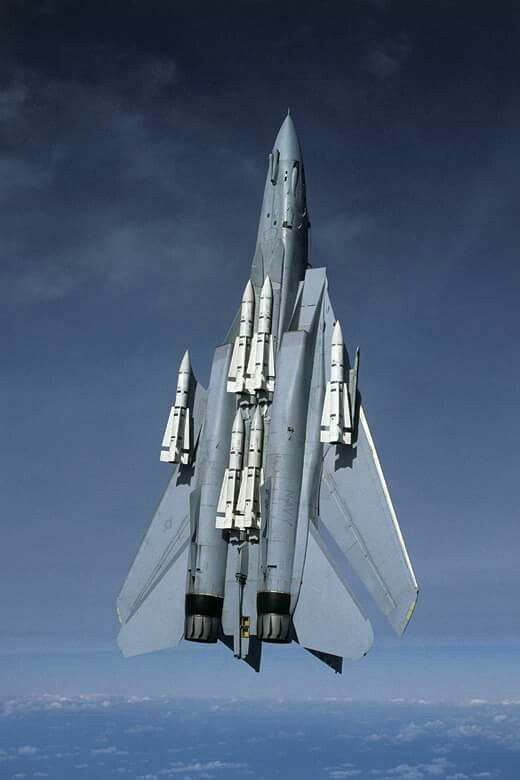 The AA-7 at best compares favorably with a contemporary AIM-7, but the F-14 is able to carry three times as many missiles as its eastern opponent. Come the 1980s, the arithmetic begins to change with the introduction of the MiG-29 Fulcrum and Su-27 Flanker. Both of these represent the zenith of the Soviet arms industry, and are very dangerous aircraft in their element. Both aircraft are extremely maneuverable, capable of eye watering AoA and with TWRs approaching or exceeding 1. Both had radars that, while inferior to the western sets of the era, were another generational leap compared to that of the MiG-23 and both had access to missiles directly comparable to modern AIM-7s. Making the math more challenging, the Soviets had surpassed the West in the arena of close in missiles systems: both aircraft were equipped with helmet mounted cuing systems and highly maneuverable all aspect IR missiles. Meeting these threats would be a challenge for the F-14. The Tomcat has the instantaneous turn rate to initially turn with the Fulcrum or Flanker, but the anemic TF-30s meant that if the F-14 was unable to quickly capitalize it would be left low, slow and unable to recoup its energy as quickly as its opponents. More likely any engagement in the F-14A would be a carefully calculated effort to trade speed for angles only when necessary while generally attempting to stay outside of the Archer WEZ and drag the fight “downhill”, where the heavy Tomcat can use its weight to regain energy while dragging the enemy into an arena where the TF-30s performed best. Numerous images of a MiG-29 in the cross hairs of the M61 prove this is not an impossible fight, but it would require the Turkey driver’s A game, to be sure. With the addition of the F-14B this exchange becomes more equitable. The higher performance GE F110s mean the F-14 is able to sustain its turns better without bleeding airspeed and better exploit the vertical. Outside of the Kamchatka, the final match up would have been exceedingly rare but no less interesting. The MiG-31 Foxhound was the successor to the MiG-25. Similar to the F-14, the Foxhound was designed to control massive expanses of Siberian Air Space, where it would shoot down American B-1s and or cruise missiles infiltrating at low altitude and high-speed. It is equipped with long-range R-33 “Amos” missiles, and a revolutionary BRLS-8 “Zaslon” Passive Electronically Scanned Array (PESA) radar. But in a close in fight, the aircraft is a bit of a non entity, instead relying on its blistering speed to extract itself from any such situation. Any fight between the Foxhound and Tomcat would be an interesting case of speed chess. The MiG-31 possesses a missile with inferior range and SARH guidance, but has superior speed, a novel radar and exceptional inter-aircraft data linking. The F-14 has a superior missiles and close in maneuvering. While they may appear similar on paper the PESA construction of the MiG-31’s radar means that the aircraft is able to acquire targets more rapidly and guide its missiles in TWS across a larger practical envelope. The AWG-9 owing to its mechanical construction is limited to a narrow scan arc while engaging TWS contacts at long-range, which results in a net loss in situational awareness. In essence it would be the ultimate long-range slap fight as both sides attempt to support their long-range air to air missiles without getting killed. 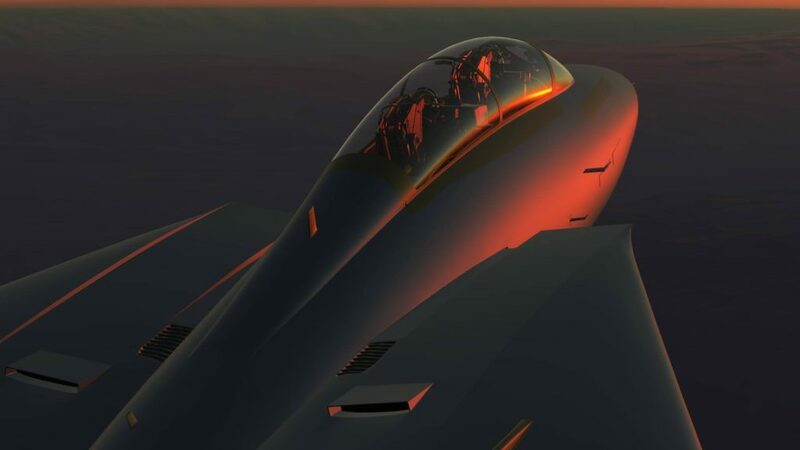 Heatblur has confirmed for it’s initial release that there will likely* be two variants of the F-14: 1) the F-14A circa the late 1980s, and 2) the F-14A+/B (henceforth referred to as the B), from the early 90s (* as noted above, everything is subject to change, please be patient). Navy, yes. But also able to take off, and recover to, an airfield. The F-14A and F-14B in this time frame are extremely similar aircraft. With little exception they share the same avionics, the same AWG-9 and TCS, the same navigation system, etc. With one exception both cockpits will be the same. They use the same weapons: the AIM-7M Sparrow, the AIM-9M Sidewinder, the AIM-54 Phoenix and the Tactical Airborne Reconnaissance Pod System (or TARPs). Both aircraft will be highly reliant on the multi-crew concept. The pilot’s responsibility in the Tomcat is to fly the jet, shoot the gun and Sidewinders, and maybe drop some bombs. Manipulating the navigation system, controlling the radar, configuring the missiles and configuring the defensive suite are all the purview of the Radar Intercept Officer (or RIO). Without a “Guy in Back”, you can start the jet and take it off, and that’s about it. 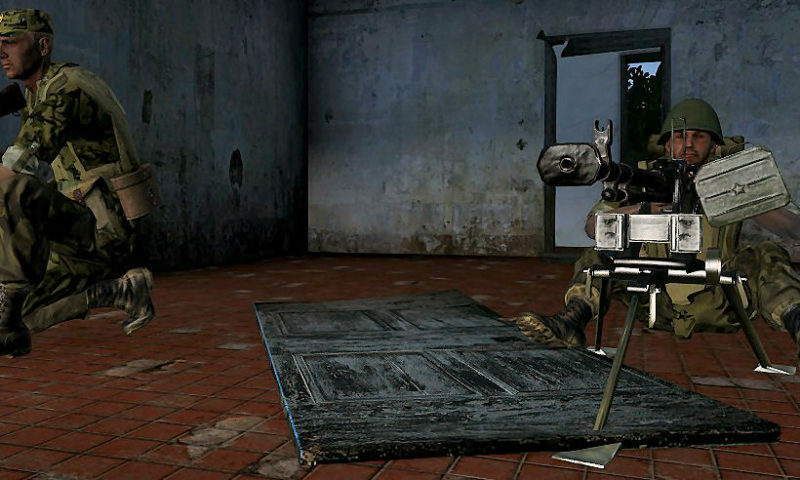 For single player missions, the anti-social multiplayer pilot, or those who can not put up with the antics of one of their mates leading them to their doom, Heatblur have been working on an “AI” RIO named Jester that will manage the radar for you, do what you tell him to do, and dutifully call out bandits during the WVR fight. Comes with seats for two! The F-14A is saddled with the Pratt & Whitney TF-30 engine. Pilots in the F-14A will need to be mindful of their throttles at all times, especially during critical regimes like landing or air combat where high AoA means rapid throttle or aggressive maneuvering will possibly cause an engine stall. On the positive side the TF-30 Tomcat is arguably faster than the GE Tomcat: the same first stage compressor that is incapable of stabilizing unsteady air flow in maneuvering flight will deliver all the air the engine could ask for during high speeds. Below 25,000 and above Mach 1 the TF-30 will absolutely get you where you want to go. The F-14B will have the General Electric F110 (aka the GE Tomcat) which negates the need to baby the throttle and provides a net increase in thrust. The GE Tomcat doesn’t so much fly differently as much as unlocks to potential that was always present in the F-14 air frame. You can fly more aggressively with less risk and spend more time focusing on knocking out your adversary rather than your engines. The upgrades of note are the AN/ALR-67 RWR, which is an improvement over the F-14As ALR-45 set as well as providing a dedicated RWR repeater on the pilot’s instrument console. Finally there’s the minor addition of A/G capability. This is representative of the earliest steps of the Tomcat community into the role, and so should be limited to visual bombing with dumb bombs, or LGBs lased by other platforms. Really looking forward to this. Likely frustrating for the first few months; under near_blinds tutelage, we will be alright. 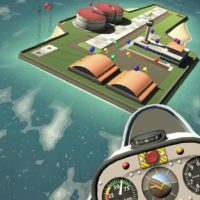 Heatblur has stated that, if they are able to find the proper documentation, they would like to continue with the line. Most likely this will encompass the F-14 “Upgrade” program of the mid/late 1990s. F-14Bs (and As that could be bought, stolen, or otherwise acquired) were equipped with some upgrades to enhance the lethality of the aircraft in the air to ground role. The most notable modification would be the addition of the LANTIRN (Low Altitude Navigation and Targeting Infrared for Night) Pod, a TGP originally designed for the F-16 and F-15E that was adapted to the Tomcat by the addition of an integral GPS/IMU to compensate for the F-14s antiquated navigation suite. This pod allowed for self designation capabilities and was superior to the AAS-38A Nitehawk pods used by the F/A-18 (at the time) in both range and picture quality. Next was the PTID (Programmable Tactical Information Display) which, technically arriving before the LANTIRN, was a replacement of the F-14As vintage “Fishbowl” TID with a larger screen analogous to a modern MFD (Multi Function Display). It offered increased functionality but also increased resolution, which would pleasantly enhance the effectiveness of the RIO in finding and designating targets. At the turn of the decade F-14Bs began receiving modern Sparrowhawk III HUDs to bring them more in line with the surviving F-14D squadrons. The last upgrades to the F-14A/B fleet would be the addition of GBU-31 functionality around 2001/2003. Maybe if we’re all good children, do our chores, help our neighbours and wish very hard, we’ll get an F-14D sometime in the future. Maybe. What is a carrier aircraft without an aircraft carrier to land it on? Heatblur’s has us covered. 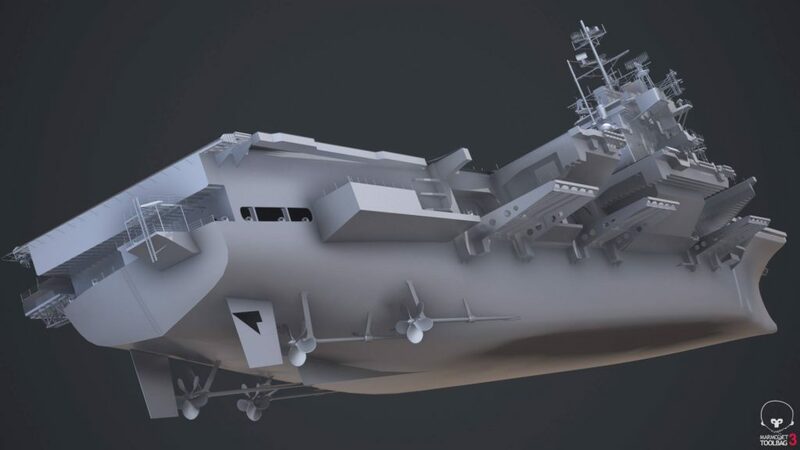 To enable our fantasies of swashbuckling naval aviation (or perhaps adhoc dog tag disposal), Heatblur has also begun development of a Forrestal class aircraft carrier. If you are not like @near_blind and don’t obsess over every ship made in the 20th century, the Forestals were the first class of aircraft carriers christened following WWII and were the first to be dubbed “super carriers”. Despite the moniker, they were in many ways a transitional design between the traditional “straight deck” carriers of yore and the more modern configuration that would take root with subsequent designs. It was the first US carrier to be designed with an angled deck, steam catapults, and a collimated landing signals instead of a dude on the stern with ping-pong paddles dressed in Christmas lights. However they also featured a rather archaic elevator arrangement, and retained a battery of 5” cannons as their main armament. This is not the view I want to see after I attempt to land. The Forrestal (and we’re not sure which, there were four) Heatblur is modelling should be of similar vintage to our Tomcat: the 1980s. By then the Forrestals had been upgraded with technology pioneered in subsequent ships and her primitive armament had been replaced with the ubiquitous 20mm Phalanx CIWS and Sea Sparrow SAMs. Truth be told, the Forrestal class carriers were a little bit _too_ small to comfortably operate the hefty F-14s but this could be related to the awkward deck arrangement, mentioned above, that required more respots, and time to complete respots, when compared to later carriers. In the era of constant deployment the Navy made do. To help spruce up the place, and add gravitas to the inevitable slew of Top Gun opening scene recreations, Heatblur have also begun work on very snazzy looking deck crewmen. There is no guarantee the carrier (or the crew) will be available simultaneously with release of the initial F-14 module, but it should follow at some point. Really? You are not going to read all of those beautiful words written by people who were smitten with love for the F-14 Tomcat before it was sullied with fame in a movie? Ok. Here goes. There is an F-14 virtual, flyable module for DCS World coming from Heartblur and, without getting your expectations too high, it is going to be awesome . Oh, and it will be ready for us when it is ready, and not a moment before, so keep your flight pants on. Was " helmet mounted cuing systems"
Should be " helmet mounted cueing systems"
Nice article! Very well done, perfect fuel for the hype train. Great read, thanks! Sooo can’t wait for this baby! Good research, great background information, and solid writing guys! you mis-spelled F-111B in that article several times. Great read @Fridge (who isn’t a Guest Contributor, but actually Mudspike Staff ) and @near_blind - thank you for doing that, especially the hoops jumping bit of first time publishing and learning all the weird stuff we have over on that side of the site. It was great to see something on the front page from you two and it was a very fun read. I’m not sure the great publications of the past and the present would approve of the emoji finisher, but sometimes style is more important than form. I’m just afraid you two added 6 more months of development karma to it…know anything we should know?